LCI’s strong and well-organized Alumni Association has a tradition of undertaking major fundraising initiatives when needed. In recent years, for example, the Alumni Association has been able to underwrite significant infrastructure projects such as the renovation of the LCI Auditorium. 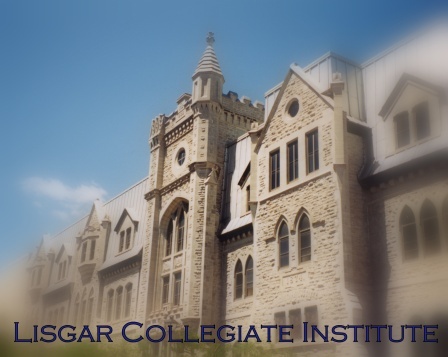 the promotion of education at Lisgar Collegiate, particularly by providing educational and enrichment materials not provided for as a result of OCDSB budgetary limitations. The Lisgar Fund also accepts donations from non-Alumni members that also can be tied to specific ends such as Scholarships and Awards or to Department-specific undertakings (e.g., tied to Athletics, Academics or the Arts, etc.). Some of these donations meet short-term needs but most generate long-term legacies. Alternatively, donors can give to a general-purpose fund to that is used to cover the acquisition costs of broadly applicable undertakings that are not affordable within the constraints of the annual LCI budget. Recently approved expenditures from this general-purpose (or “Contingency Funds”) component of The Lisgar Fund have ranged from needed building repairs to equipment acquisitions that enhance instruction (e.g., media carts / white boards).